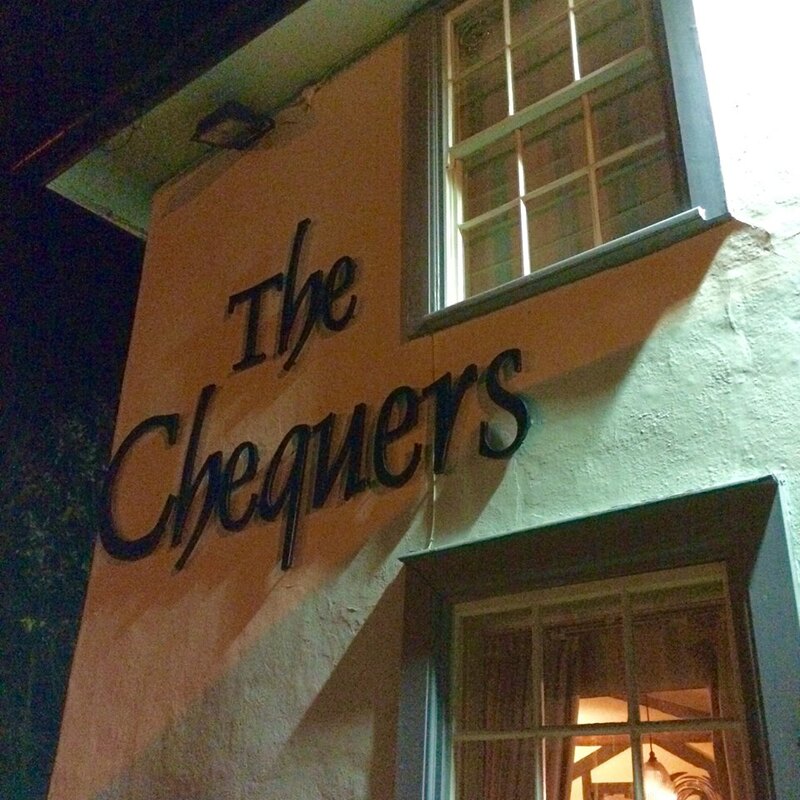 I have been meaning to pop into The Chequers in Orwell for quite a while now as I don’t live too far away. Sometimes when places are practically at your doorstep you put them off thinking you’ll get to them eventually. I’m certainly guilty of doing just that, but fortunately I have remedied the oversight and will be a faithful customer from now on. 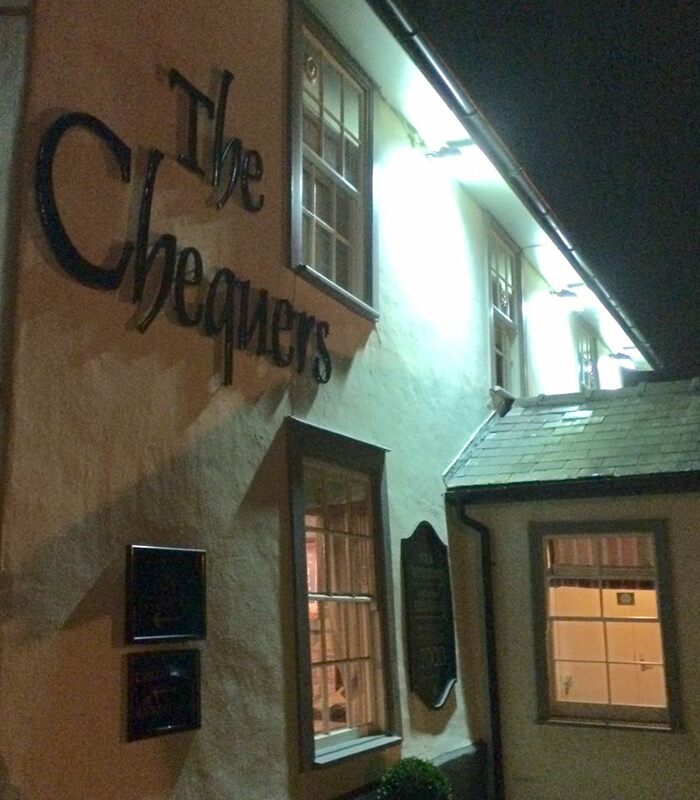 The Chequers is located in the beautiful village of Orwell. Don’t let the postal address deceive you. It’s listed as being in Hertfordshire but Orwell is really a South Cambridgeshire village, only 8 miles from the city of Cambridge. Actually, its location is ideal, practically of equal distance between Royston and Cambridge and very close to historic Wimpole Hall. 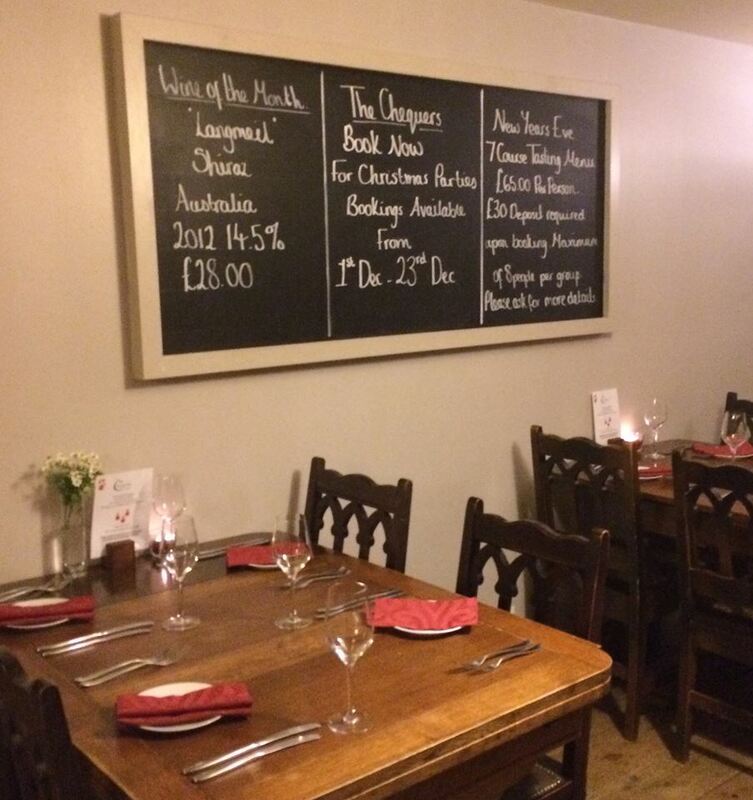 Owned by David and Tina Cheng, The Chequers is a village pub and restaurant with a nice, cosy bar but it also offers an astounding menu in its small dining room. David Cheng is a Le Cordon Bleu-trained chef with an impressive culinary resumé, including a stint at Downing College in Cambridge. Paulo and I visited at dinnertime and the whole team, from the kitchen brigade to service staff, worked really well together. The food and service were flawless. I have to mention our excellent waiter Sean, who was friendly, professional and helpful. 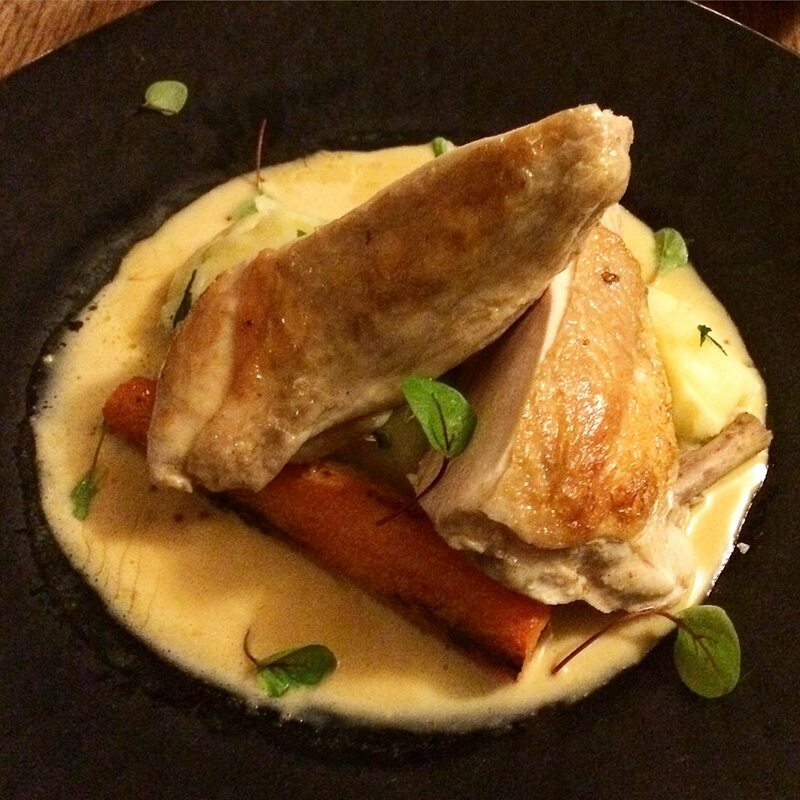 The dishes we ordered were impeccably presented, each a work of art in themselves. But more importantly, they were delicious and featured fresh, local produce. Definitely not a case of style over substance. We were wowed by the ingenuity of the flavour combinations and presentations. 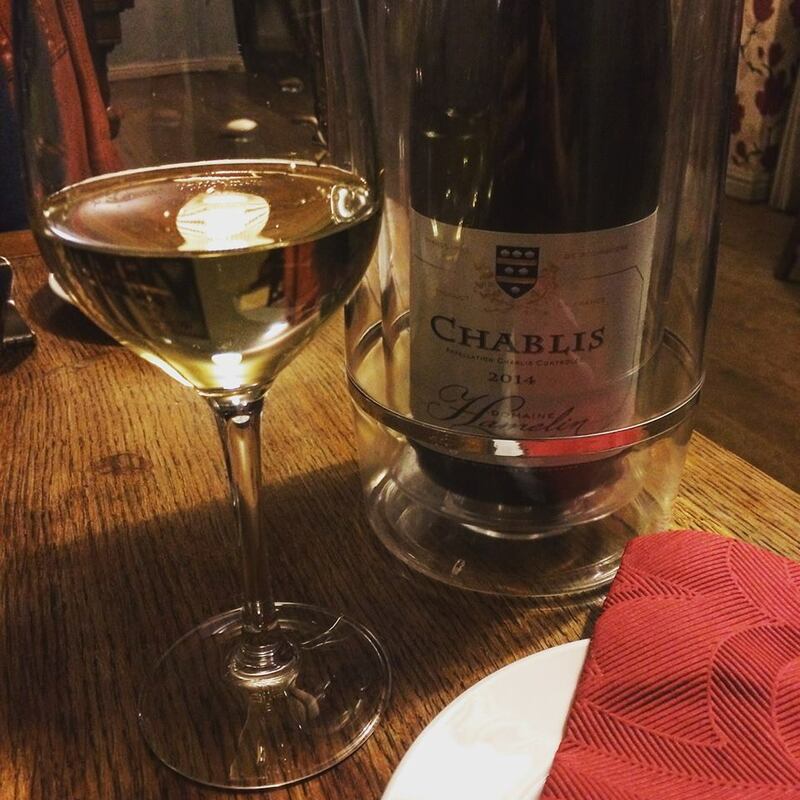 From The Chequers’ wine list we chose a lovely Chablis from Domaine Hamelin, described as “fresh, classic nose with notes of green apple, crisp on the palate with good depth of flavour”. 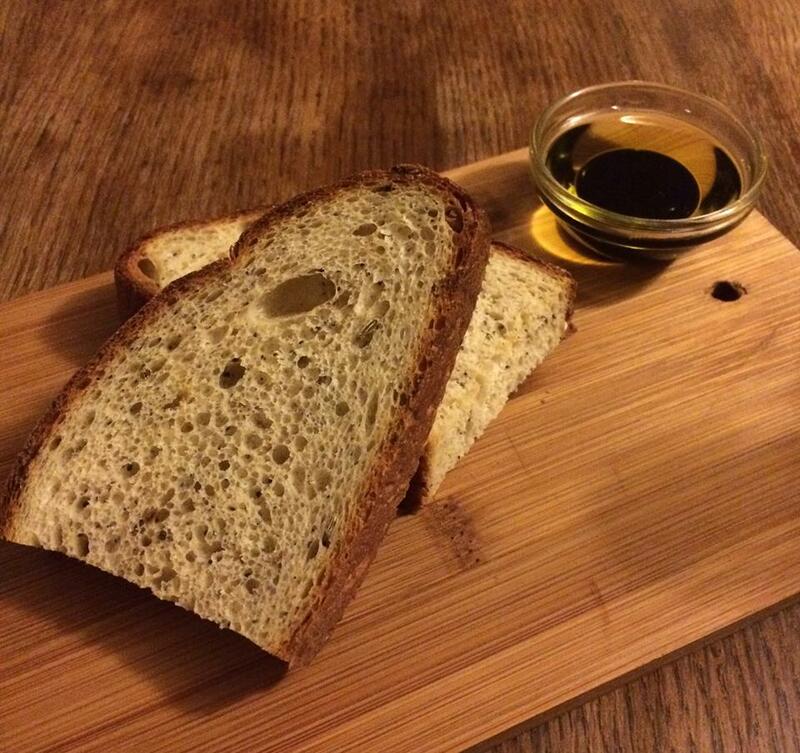 A pitcher of tap water with slices of fresh lemon was provided as well as some warm fennel and poppy seed bread with a bowl of olive oil/balsamic vinegar for dipping. I had a really good feeling about the menu and decided to be adventurous with my starter: butternut squash custard (yes, custard). 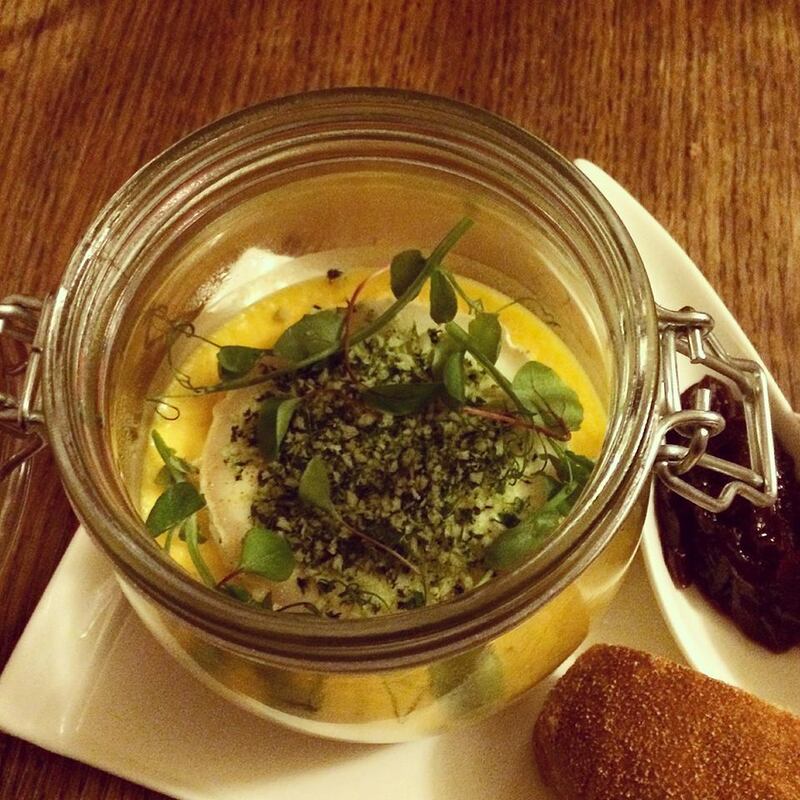 It was served in a glass jar and when I opened the lid, I could see that the custard was on the bottom, topped with a thick, round slice of goat’s cheese and a herb crust. 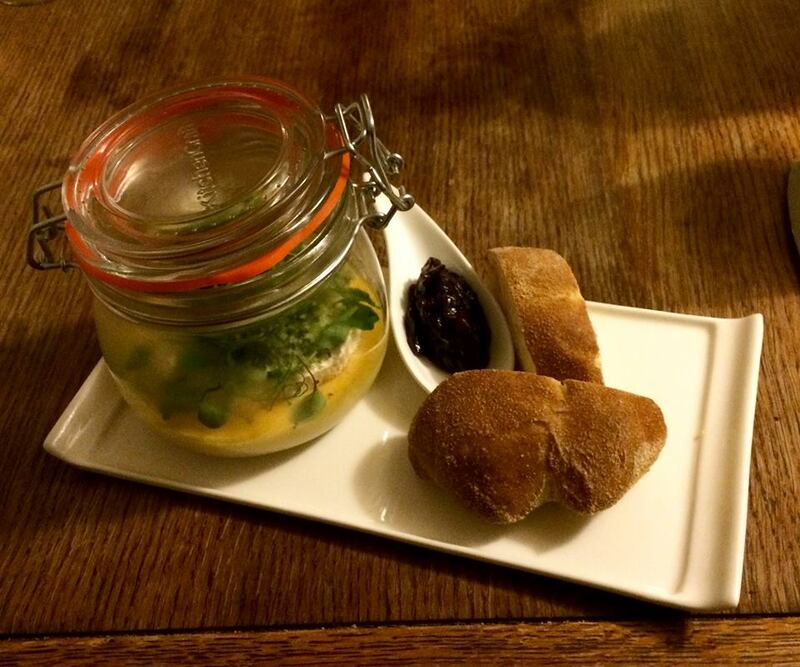 It was accompanied by some fresh bread and a spoonful of sweet onion relish that went very well with the goat’s cheese. It was a bit fiddly to eat but once I learned that my fork was the best utensil for the cheese and relish, things went a bit more smoothly. I then used a spoon to eat the butternut squash custard, which I can only describe as a crème brûlée with savoury notes. It may sound like a strange combination and sometimes the layering of different ingredients has the potential to go disastrously wrong, but this dish really worked. Also, before there are any “we want plates” comments about the presentation, I think the jar was the best option for the dish. 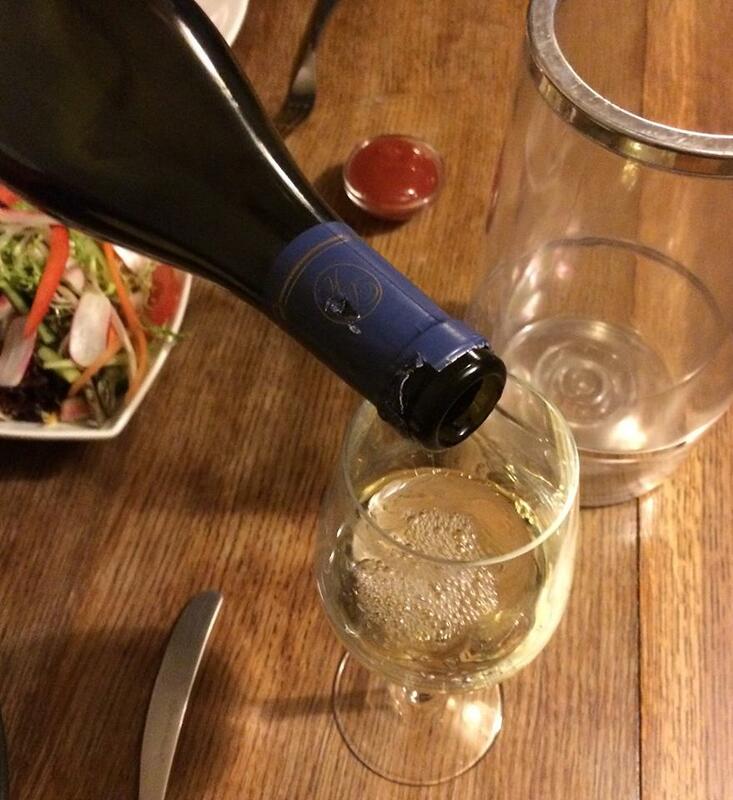 It simply wouldn’t work in a plate or bowl and the jar kept all of the layered ingredients contained and intact. 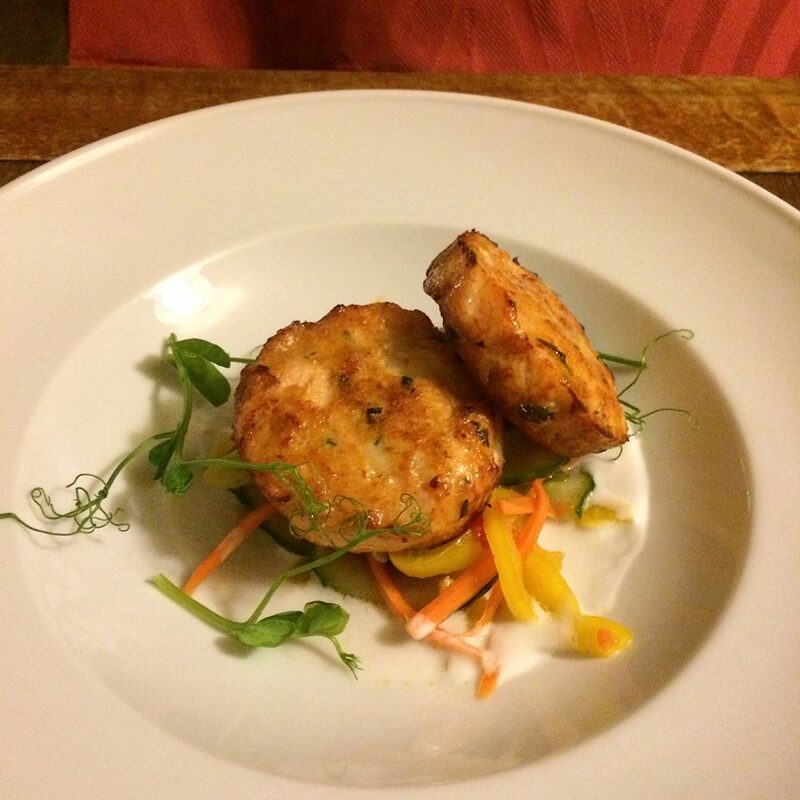 Paulo’s starter consisted of two plump salmon and prawn fishcakes, served with oriental salad and coconut cream. Very nice. 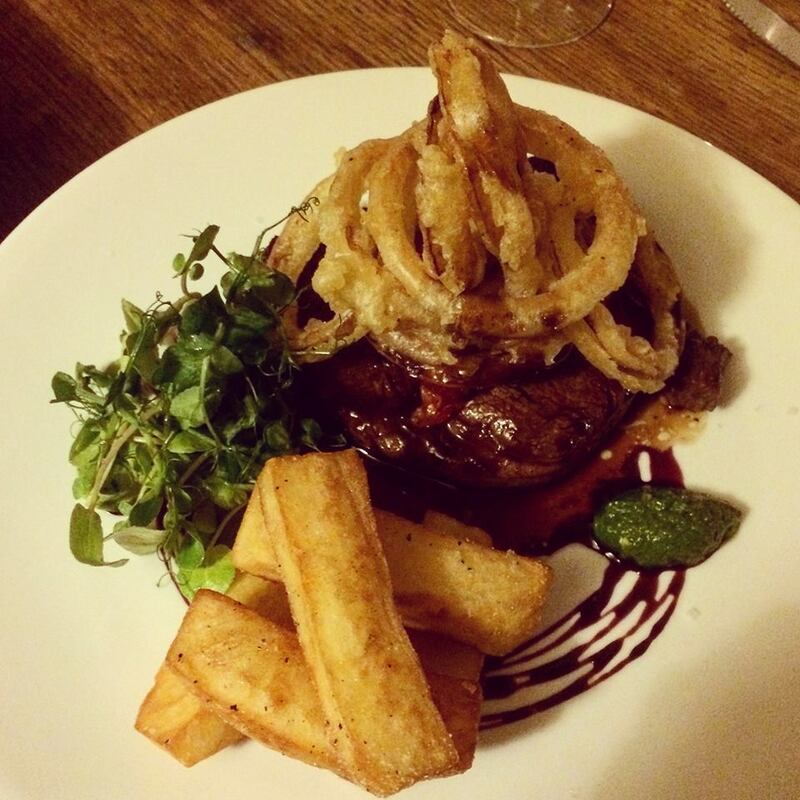 For his main course, he ordered the 10 oz ribeye steak, served with onion rings, pont neuf potatoes and rocket pesto. Who can resist onion rings and chips? I certainly couldn’t and found myself nicking a perfectly crisp onion ring. I may have also toppled the chunky chips bridge by helping myself to a pont neuf potato, which was soft and fluffy inside, as it should be. 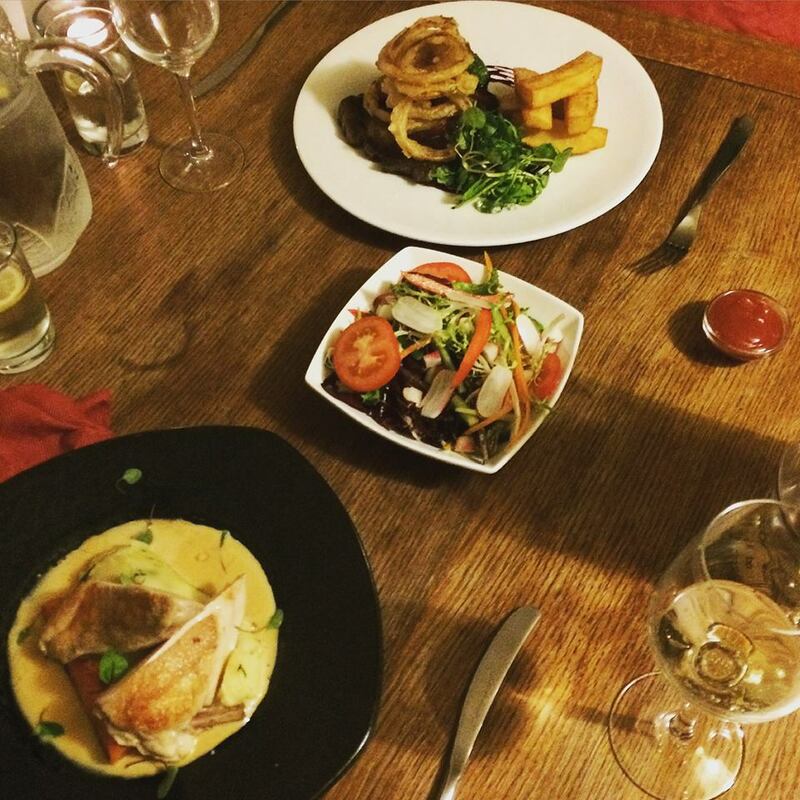 I had the chicken supreme and was seriously impressed by the quality of the plump chicken breasts. The meat was tender and moist, complemented by a large roasted carrot as well as mashed potatoes made with leeks and Duckett’s Caerphilly cheese. The creamy sauce featuring wholegrain mustard went really well with the chicken and vegetables. 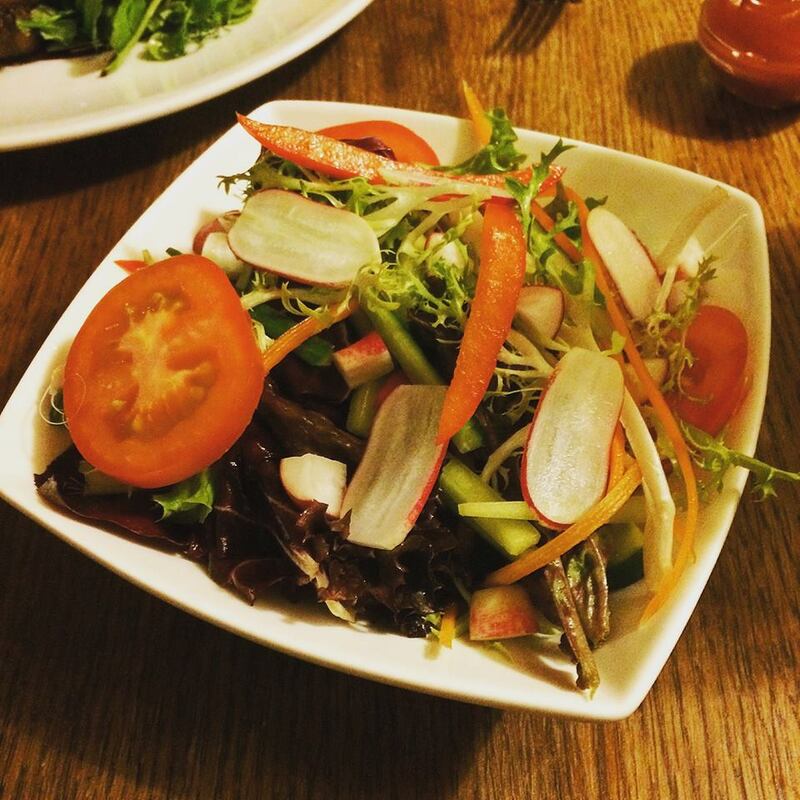 We ordered a fresh mixed salad as a side order and it was big enough for both of us to share. 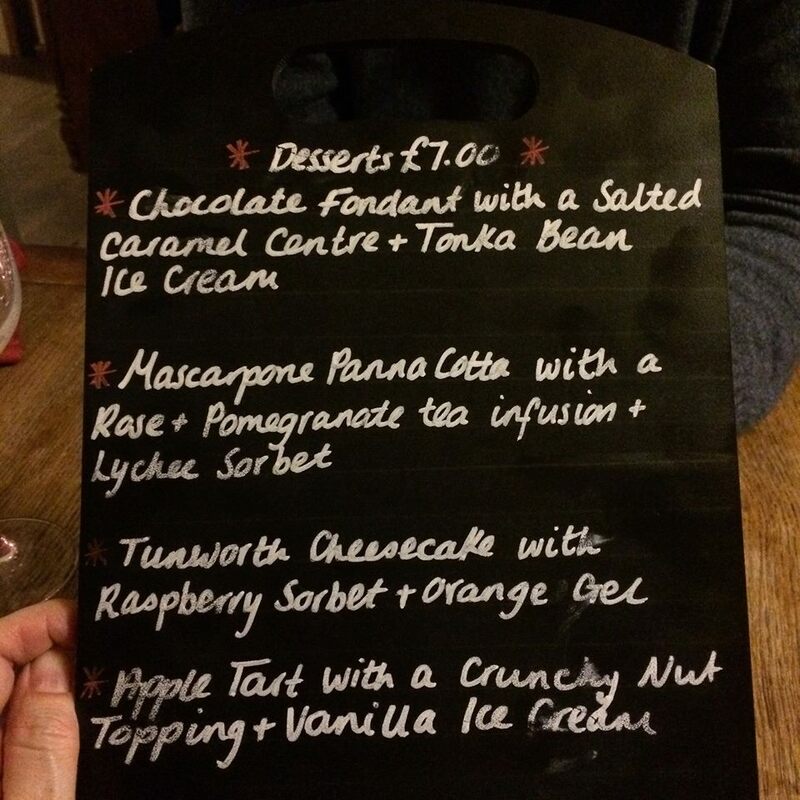 The dessert menu was too tantalising to pass up and we were glad we didn’t! To say the desserts were spectacular is putting it mildly. They were almost too beautiful to eat! 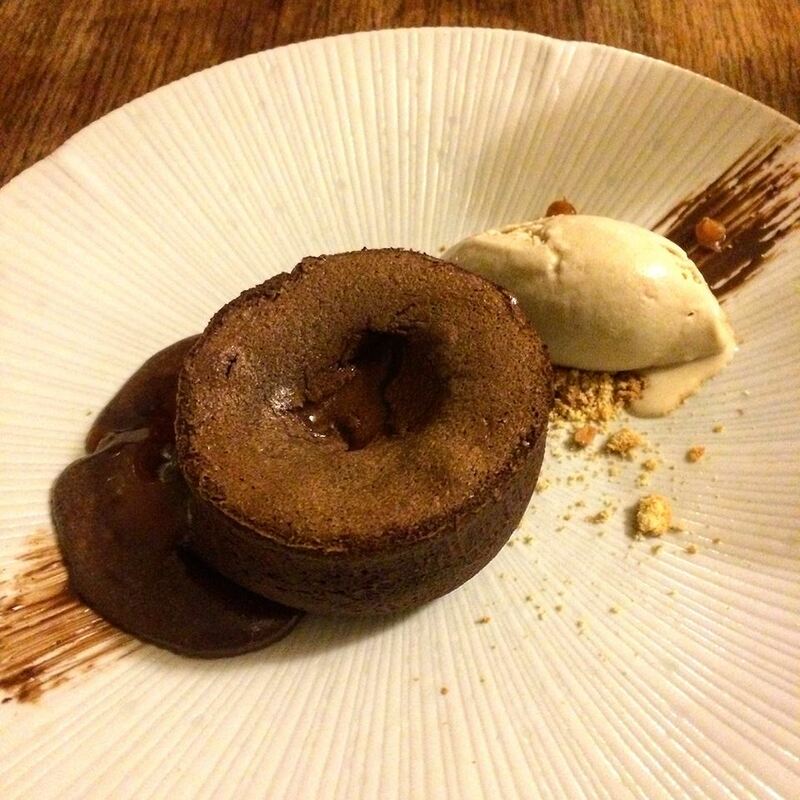 Although it was extremely difficult to choose from the four options, I surrendered to my sweet tooth and ordered the chocolate fondant with a salted caramel centre, served with tonka bean ice cream. All of the ingredients were of superior quality. Paulo’s dessert was perhaps the most surprising dish of the evening. 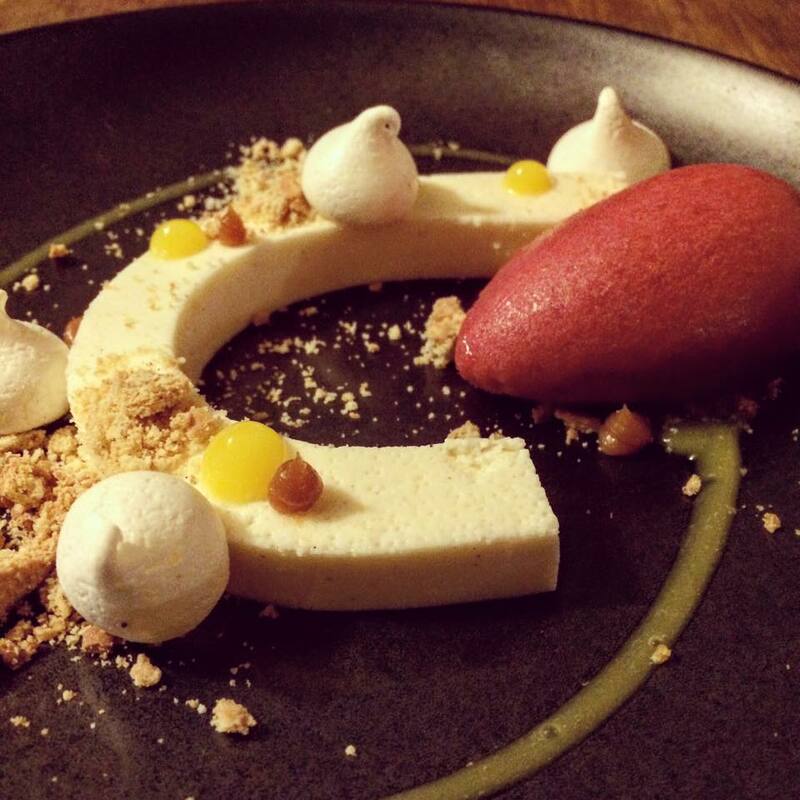 Described as Tunworth cheesecake with raspberry sorbet and orange gel, it was actually a deconstructed cheesecake. The presentation was creative and innovative and all of the flavours were really vibrant but still complemented each other well. Tunworth is a sweet, nutty, vegetal cheese that can be rather strong… how the chef made it work well as a cheesecake is a wonder to behold! I highly recommend leaving room for dessert. They were the highlight of the evening. Just when we thought nothing could surpass our starters and mains… they took it to a whole other level with these desserts! 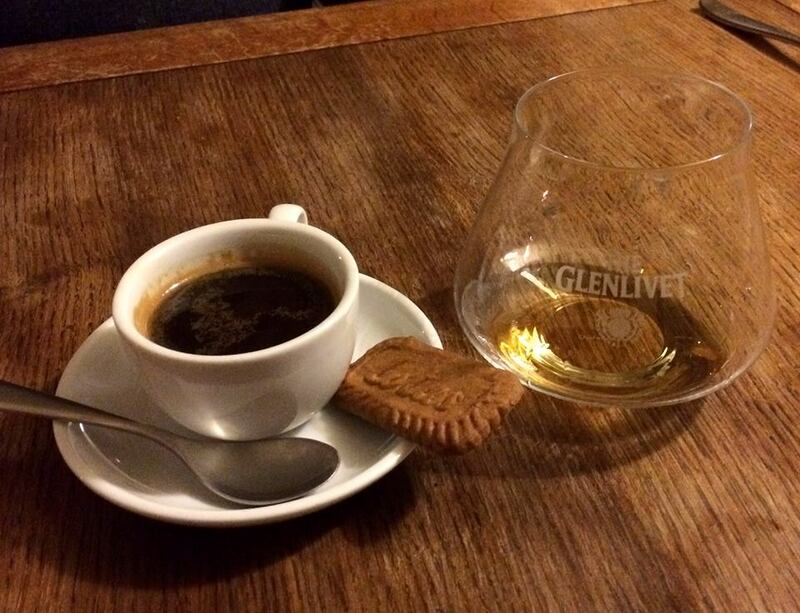 Paulo finished off his meal with a double espresso served with a Lotus caramelised biscuit, followed by a single malt Glenlivet scotch. By the time we left, the bar started filling up with people (it’s dog friendly too). 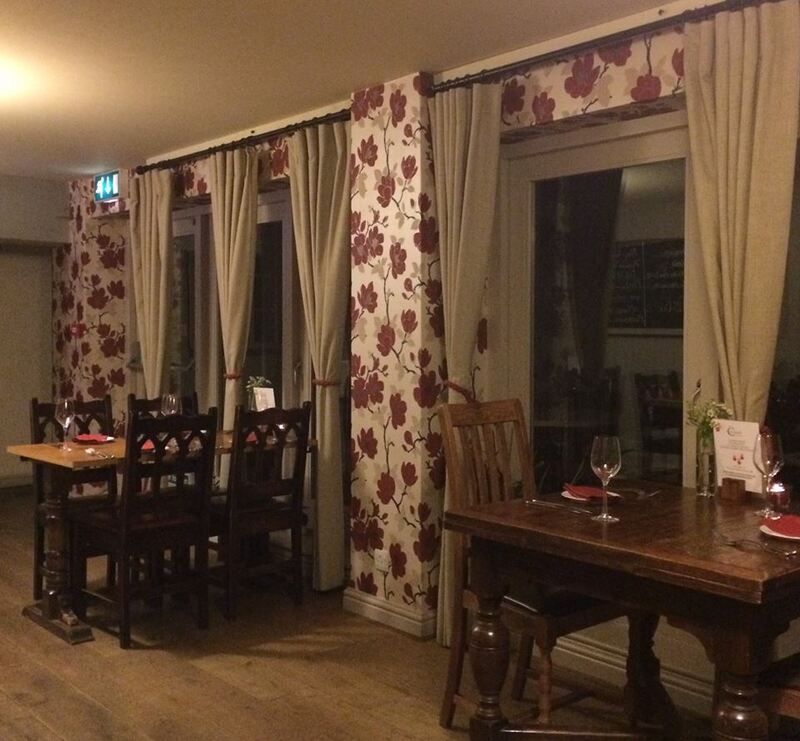 I’d love to go back and enjoy a drink or two in the comfy sofa chairs in the bar area. 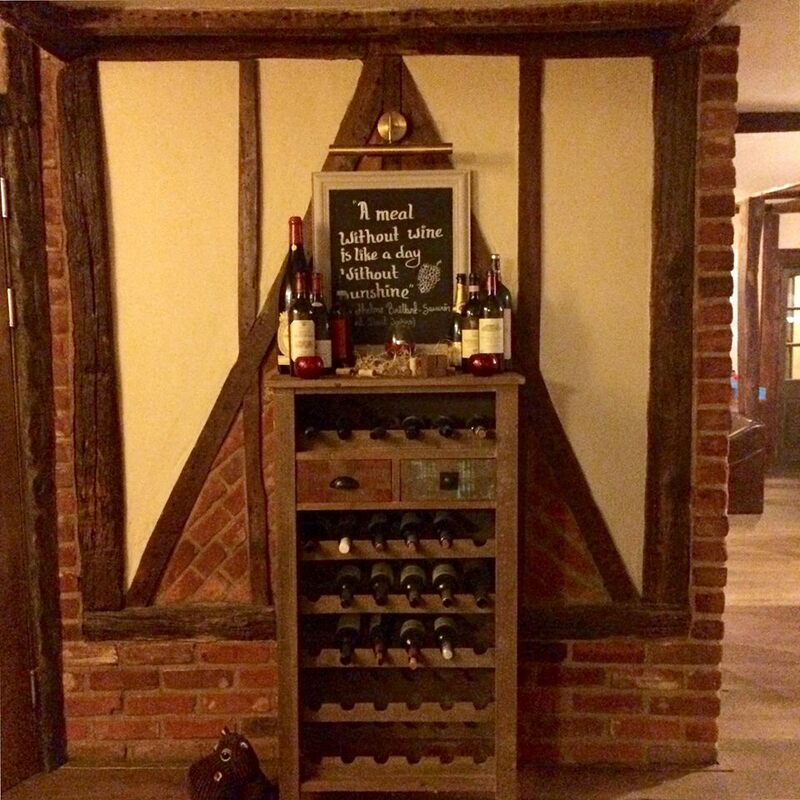 The Chequers may be in a village location in South Cambridgeshire but it’s definitely worth the drive. 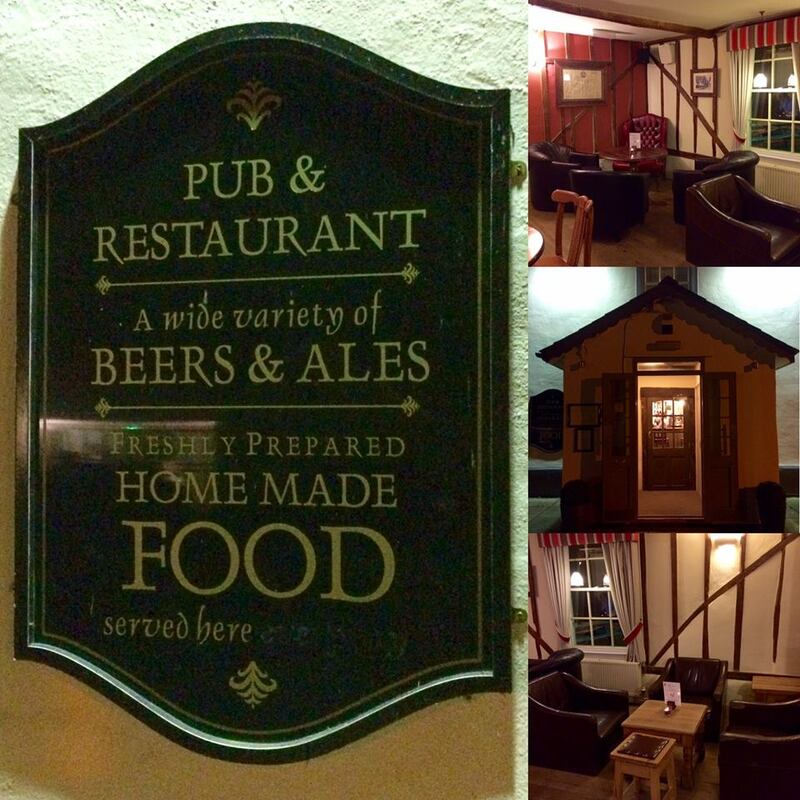 This charming pub/restaurant is a veritable gem! 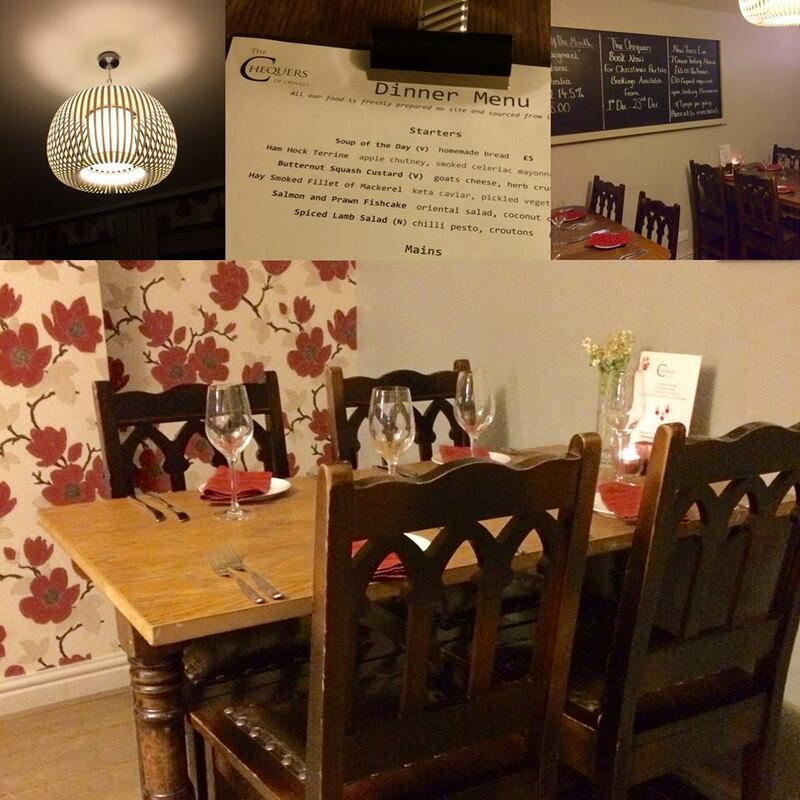 It’s top quality, innovative cuisine in an informal, unpretentious setting. For me, that strikes the perfect balance. I was in contact with owner Tina Cheng through social media and she was aware that I would be visiting the establishment. The staff were unaware that my experience would be the basis of a written review. It is based on my experience at my own cost and I did not receive compensation for my review. 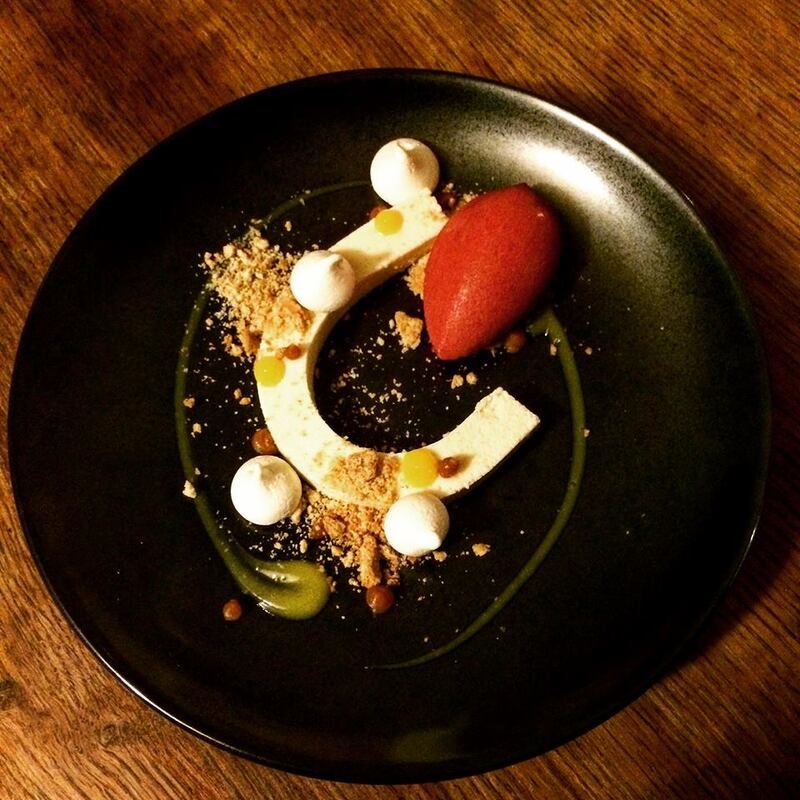 This entry was posted in Restaurants and tagged butternut squash custard, Cambridge, Cambridgeshire, chocolate fondant, David Cheng, Hertfordshire, Orwell, Royston, The Chequers, Tina Cheng, Tunworth cheesecake by One Two Culinary Stew. Bookmark the permalink. 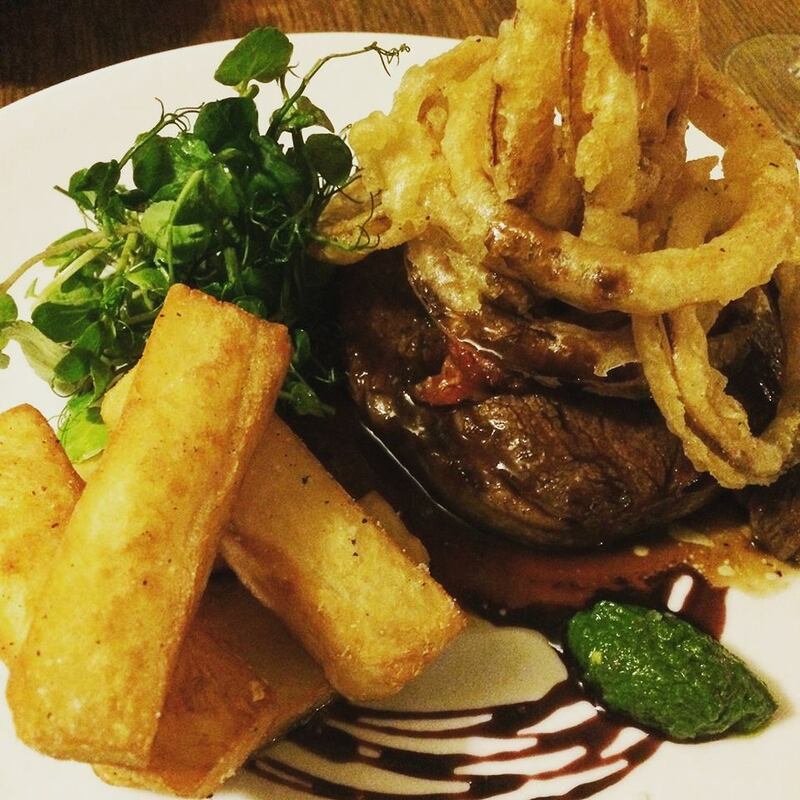 Salivating over the steak and chips! We went here after reading your review. We weren’t disappointed! I loved the horseshoe cheesecake especially. Ah yes, the deconstructed cheesecake. Hope it makes a return appearance on the menu. Glad you enjoyed your visit. I have entered you in the cookbook contest. I’m definitely going to try here next time I’m in the area. Sounds great! Thanks, Aoife. I’ve entered you in The Cambridgeshire Cook Book contest. I have never eaten there but I like anything that comes in a Kilner jar, whether said Kilner jar then makes it into my handbag or not is a different matter (man I’m turning into my grandma). Think a return visit is in order next time I’m in Cambridge. Looks to have moved up another level. Good stuff. Yet another place that is on my list of places to try as a result of reading your blog! Thanks for introducing me to lots of new places around Cambridge! This is definitely now on my to list of places to try! 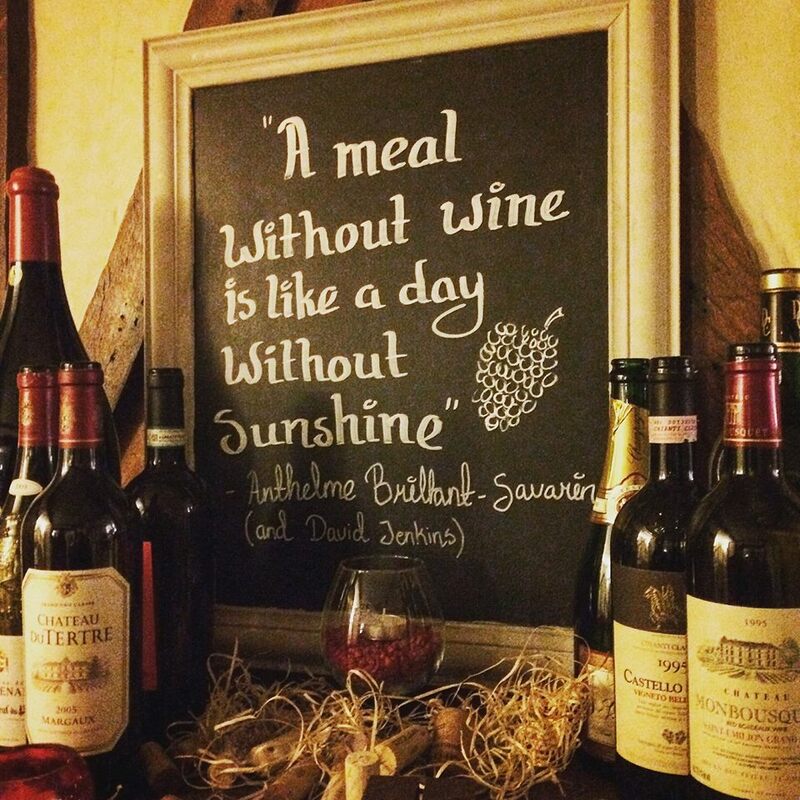 A great review! The food sounds so interesting, delicious and I cannot wait to try one of their desserts, your chocolate pudding looked heavenly!